What is the main concern for experts tasked with making buildings more climate-resilient? Environment Analyst’s Eoin Redahan found out at Ramboll’s Climate Resilience roundtable. 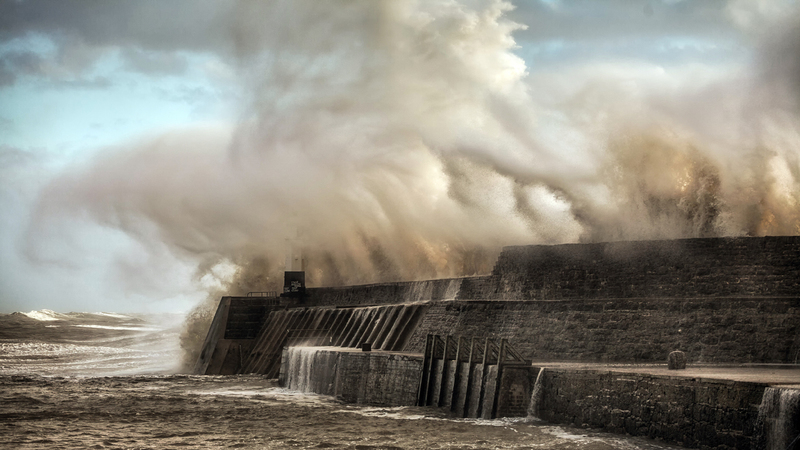 Climate change is predicted to affect rising temperatures and sea-level in the UK, resulting in higher frequencies and intensities of extreme weather events like drought, flooding and heatwaves, and putting greater pressure on resource availability. UK-based real estate businesses are vulnerable to many of these changes, with climate change posing risks to their assets, services, customers, staff and supply chain. To address the potential impacts of climate change on real estate businesses, Ramboll hosted a roundtable discussion on climate resilience, offering an opportunity for clients to discuss approaches to assessing and quantifying climate change risks. This event brought together clients with backgrounds in investments funding, property development and the legal profession in order to discuss market drivers for climate considerations within transactions, development and asset management, tools available for assessing and managing such risk and approaches for integrating climate change considerations within sustainability programmes. Environment Analyst’s Eoin Redahan reported on the findings of the session, and his summary can be found below. Originally published by Development & Infrastructure (part of Environment Analyst). Reproduced with kind permission. For those managing climate change risks within the real estate sector, the immediate worry isn’t building energy efficiency, the urban heat island effect, or developing on-site renewables. It is flooding. We may have just sweated through the hottest of summers, yet flash flooding punctuated those weeks of oppressive heat and parts of the country simply couldn’t cope. Unlike the other offshoots of climate change, flooding is having a material effect on premises now. If you have sandbags piled in front your shop door or the employees’ car park is flooded, business will suffer. "Carbon and CO2 emissions reduction have been constant [concerns] but flooding has really risen up to the surface," noted James Tinkler, project manager at the property developer Chancerygate. "It is quite a significant cost for us compared to five years ago." Tinkler has noticed that local planning authorities are now asking for flooding scenarios beyond the 100-year mark and that flooding has become a weightier requirement in the planning process. Similarly, for Tim Coffin, sustainability manager at the Universities Superannuation Scheme, drainage and flooding history are key concerns on the acquisitions side. "We’re far more apprehensive particularly with flooding," he said. Aside from flooding, companies are also concerned about the dawn of the electric vehicle, principally the additional charging infrastructure that will be required in workplaces and the National Grid’s ability to cope with it. For Peter Carr, strategic director of facilities management at Commercial Estates Group, grid resilience is a major long-term concern. "Twenty years ago, our grid was about to fall over," he said. "It was never designed for what we have now. All the electricity we want has nothing to do with climate change; it’s that we haven’t invested in that infrastructure in the UK’s cities… that’s a more fundamental problem we need to look at if we want to go green." Tinkler noted that on-site generation from solar and wind may be required to fulfil buildings’ EV charging needs. However, the issue of equipping buildings with charging capability is less than straightforward, especially as we don’t know when these vehicles will properly come on stream in significant volumes. "Will it be two years?" one delegate asked. "Will it be 20?" Either way, given the government’s intention to go electric, it is an area that must be addressed sooner or later. As one delegate noted: "It’s about future-proofing the asset." With climate change targets looming large, it is also in the government’s interest to ensure the UK’s buildings are climate resilient and energy efficient – and it is making positive moves to that end. "Climate change now needs to be addressed in environmental impact assessments," noted Sarah Winne, principal consultant at Ramboll. "What this means in practice is that, depending on the scale of the project, you need to assess climate risks... as well as a project’s impact on the natural environment." However, in this area, theory and practice may take some time to align. "From what I’ve seen, it skims over it," noted one delegate. "It’s something you have standard answers for. It’s more about cut and paste answers if I’m being honest." Nevertheless, there seemed to be a consensus that we are in a transitional phase when it comes to making our buildings and infrastructure more climate resilient; and, while operating expenses could be reduced and obsolescence offset by addressing potential problems now, the government will be key in driving behavioural change. As Tim Coffin, sustainability manager at the Universities Superannuation Scheme, noted: "A lot of resilience will be driven through regulation." Some effects of climate change are too far away to account for now. "We’re at the start," said Carr, "but a lot of this is what we’ll talking about in 150 years’ time." So, in several decades’ time, we may be preoccupied by the effect of rising temperatures on the structural integrity of buildings, reduced water availability, and the increasing aridity of our land. Perhaps all of this may come to pass sooner than we predicted. After all, how many would have predicted 38°C temperatures in England, summer flooding, or the forest fires that ravaged Vancouver this summer past? What seems far away is often closer than we think, but at least we can console ourselves that the experts are pondering these problems right now.